Since the closure of the tin mines, Ipoh has been eclipsed by other cities such as Kuala Lumpur, to which it regularly loses many of its youngest and brightest. As a result, the city has earned a new reputation for being a place to retire, although there have been efforts to revitalise the city with urban renewal projects such as the Greentown Business Center. It is still a large bustling city with a fair number of colonial buildings in Old Town, Chinese and Hindu temples and natural scenic spots such as the limestone caves of Gua Tempurung. 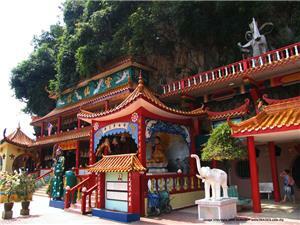 Ipoh is located about 200 kilometres north of Kuala Lumpur and 132 kilometres south of Penang. 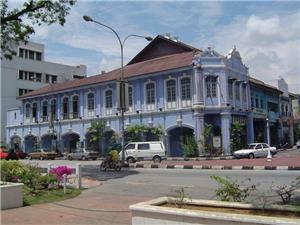 Ipoh is in between the states of Selangor and Penang. The main Bus Terminal in Ipoh used to be Medan Gopeng Bus Terminal. However, the terminal has been closed down in early 2013 and moved to Aman Jaya Bus Terminal. Because Aman Jaya Bus Terminal is far from Ipoh city centre and there is no frequent connecting bus to Ipoh centre. As a result, most of the bus opeartors in Ipoh (like Fivestars, Grassland etc) providing coach from Ipoh to Singapore continue to run bus service at shop houses located at Jalan Bendehara. For more information about Bus to Ipoh, check out details from us today!